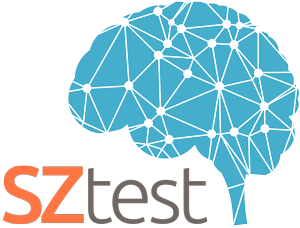 You have reached the website of “SZ_TEST: Academia and Industry Collaboration for Schizophrenia”, an international project focused on developing molecular diagnostics tools for early detection of schizophrenia. 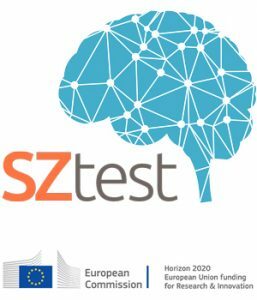 SZ_TEST is a Research and Innovation Staff Exchange (RISE) project supported by the European Union Horizon 2020 programme for four years begining from January 2017. This project has received funding under the Marie Skłodowska-Curie grant agreement No 734791. The SZ_TEST project will foster advances in Diagnostics of Early Psyhcosis (Schizophrenia) through a collaboration between 9 partners. The chronic nature and the high degree of patient disability make schizophrenia the fourth leading cause of disease burden across the globe with the management costs making up ~3% of the total healthcare budget in Western countries. Unfortunately, poorly understood aetiology and limited diagnostic arsenal make it difficult to detect and treat schizophrenia in a timely and efficient manner. This underscores a critical need for better understanding of the mechanisms underlying this disease and development of new diagnostic possibilities allowing its early detection, ideally prior to the onset of psychosis. The overarching hypothesis underlying our work is that genetic vulnerabilities, neurodevelopmental defects, exposure to pathogens, immune system status and specific lifestyle choices may compound the risk of schizophrenia and that a systematic multivariate analysis of these factors should result in substantially improved diagnostic tools. SZ_TEST will address this challenge through focused research activities and translational training aimed to complement existing know-how with new skills and share knowledge between partners. The consortium also plans to organize a series of networking activities such as workshops and conferences. 1: Deciphering molecular mechanisms of schizophrenia. 2: Identifying molecular biomarkers for early detection of schizophrenia. 3: Developing reliable protocols for diagnostic use of newly identified biomarkers in clinical settings. SZtest mini-symposium organised by Protobios and King’s College London took place at 16th March 2018 in Tallinn Tehnopol. The participants from Tallinn, Tartu and London held overview of their projects on gene expression in health and disease. The meeting was organised by Protobios and the University of Helsinki at 21st of September 2018 in Biomedicum Helsinki. It was an information section on the Marie-Curie Actions (MSCA) 2019 call for proposals for the Research and Innovation Staff Exchange (RISE). RISE funds short-term exchanges for staff to develop careers combining scientific excellence with exposure to other countries and sectors. 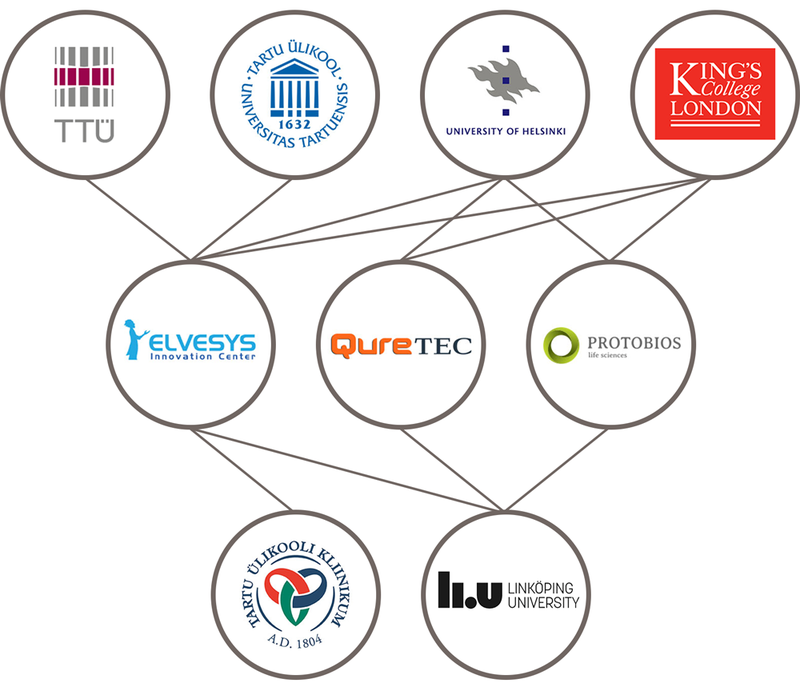 RISE enables more interaction between academia and non-academic organisations within Europe and worldwide. The project leading to this application has received funding from the European Union’s Horizon 2020 research and innovation programme under the Marie Skłodowska-Curie grant agreement No. 734791. In October 2018 the laboratories of Protobios were visited by leading Multiple sclerosis practicing MD and principal investigator from the University of Helsinki Prof Pentti Tienari and his lab technician Lilja Jansson. The visit was performed within the SZTest project. Our honourable guests shared their knowledge in field of neuro-immunology and introduced relevant advanced methods. It is noteworthy that schizophrenia was first distinguished from other forms of psychosis by the famous German psychiatrist Emil Kraepelin when he was a Professor of Psychiatry and a Head of Tartu University Hospital, Estonia. Sepp, M., Kannike, K., Eesmaa, A., Urb, M. and Timmusk, T. (2011) Functional diversity of human basic helix-loop-helix transcription factor TCF4 isoforms generated by alternative 5′ exon usage and splicing. PLoS One, 6, e22138. Sepp, M., Pruunsild, P. and Timmusk, T. (2012) Pitt-Hopkins syndrome-associated mutations in TCF4 lead to variable impairment of the transcription factor function ranging from hypomorphic to dominant-negative effects. Hum. Mol. Genet., 21, 2873-2888. Tamberg L, Sepp M, Timmusk T., Palgi M. (2015) Introducing Pitt-Hopkins syndrome-associated mutations of TCF4 to Drosophila daughterless. Biol. Open, 4, 1762-1771. Tuvikene J, Pruunsild P, Orav E, Esvald EE, Timmusk T. AP-1 Transcription Factors Mediate BDNF-Positive Feedback Loop in Cortical Neurons. J Neurosci. 2016 Jan 27;36(4):1290-305. Vihma H., Sepp M., Nurm K., Urb M., Page S.C., Roots K., Hark A., Pupina N., Maher B.J., Pruunsild P. and Timmusk T. Regulation of TCF4 transcriptional activity by post-translational modifications in neurons. 11th FENS Forum of Neuroscience, Berlin, July 2018. Esvald E-E., Tuvikene J., Sirp A., Timmusk T. CREB and BDNF transcriptional autoregulation. 14th NGF meeting: International Conference on Neurotrophic Factors 2018. Salamanca, Spain, June 2018. Tuvikene J., Avarlaid A., Uustalu K., Rähni A., Esvald E-E., Jaanson K., Timmusk T. Identification of enhancer regions regulating BDNF gene expression. 14th NGF meeting: International Conference on Neurotrophic Factors 2018. Salamanca, Spain, June 2018. Sadam, H., Pihlak, A., Jaago, M., Luhakooder, M., Vaheri, A., Siuko, M., Valori, M., Tienari, P, Palm, K., consortium Academia and industrial collaboration for schizophrenia (SZ_TEST). Immunoprofiling of multiple sclerosis: pathogenome crosstalks with self. The Lancet Summit, 2018. Cagalinec M, Liiv M, Hodurova Z, Hickey MA, Vaarmann A, Mandel M, Zeb A, Choubey V, Kuum M, Safiulina D, Vasar E, Veksler V, Kaasik A. Role of Mitochondrial Dynamics in Neuronal Development: Mechanism for Wolfram Syndrome. PLoS Biol. 2016 Jul 19;14(7):e1002511. doi: 10.1371/journal.pbio.1002511. Mazitov T, Bregin A, Philips MA, Innos J, Vasar E. Deficit in emotional learning in neurotrimin knockout mice. Behav Brain Res. 2017 Jan 15;317:311-318. doi: 10.1016/j.bbr.2016.09.064. Reimets R, Raud S, Loomets M, Visnapuu T, Volke V, Reimets A, Plaas M, Vasar E. Variability in the effect of antidepressants upon Wfs1-deficient mice is dependent on the drugs’ mechanism of actions. Behav Brain Res. 2016 Jul 15;308:53-63. doi: 10.1016/j.bbr.2016.04.011. Tekko T, Lakspere T, Allikalt A, End J, Kõlvart KR, Jagomäe T, Terasmaa A, Philips MA, Visnapuu T, Väärtnõu F, Gilbert SF, Rinken A, Vasar E, Lilleväli K. Wfs1 is expressed in dopaminoceptive regions of the amniote brain and modulates levels of D1-like receptors. PLoS One. 2017 Mar 7;12(3):e0172825. doi: 10.1371/journal.pone.0172825. Leppik L, Kriisa K, Koido K, Koch K, Kajalaid K, Haring L, Vasar E, Zilmer M. Profiling of Amino Acids and Their Derivatives Biogenic Amines Before and After Antipsychotic Treatment in First-Episode Psychosis. Front Psychiatry. 2018 Apr 24;9:155. doi: 10.3389/fpsyt.2018.00155. eCollection 2018. Karis K, Eskla KL, Kaare M, Täht K, Tuusov J, Visnapuu T, Innos J, Jayaram M, Timmusk T, Weickert CS, Väli M, Vasar E, Philips MA. Altered Expression Profile of IgLON Family of Neural Cell Adhesion Molecules in the Dorsolateral Prefrontal Cortex of Schizophrenic Patients. Front Mol Neurosci. 2018 Jan 29;11:8. doi: 10.3389/fnmol.2018.00008. eCollection 2018. Kriisa K, Leppik L, Balõtšev R, Ottas A, Soomets U, Koido K, Volke V, Innos J, Haring L, Vasar E, Zilmer M. Profiling of Acylcarnitines in First Episode Psychosis before and after Antipsychotic Treatment. J Proteome Res. 2017 Oct 6;16(10):3558-3566. doi: 10.1021/acs.jproteome.7b00279. Epub 2017 Aug 24. Balõtšev R, Haring L, Koido K, Leping V, Kriisa K, Zilmer M, Vasar V, Piir A, Lang A, Vasar E. Antipsychotic treatment is associated with inflammatory and metabolic biomarkers alterations among first-episode psychosis patients: A 7-month follow-up study. Early Interv Psychiatry. 2019 Feb;13(1):101-109. doi: 10.1111/eip.12457. Epub 2017 Jul 18. Haring L, Mõttus R, Kajalaid K, Koch K, Uppin K, Maron E, Vasar E. The course of cognitive functioning after first-episode of psychosis: A six month follow-up study. Schizophr Res. 2017 Apr;182:31-41. doi: 10.1016/j.schres.2016.10.017. Epub 2016 Oct 13. Balõtšev R, Koido K, Vasar V, Janno S, Kriisa K, Mahlapuu R, Ljubajev U, Parksepp M, Veiksaar P, Volke V, Lang A, Haring L, Zilmer M, Vasar E. Inflammatory, cardio-metabolic and diabetic profiling of chronic schizophrenia. Eur Psychiatry. 2017 Jan;39:1-10. doi: 10.1016/j.eurpsy.2016.05.010. Bourin M, Malinge M, Vasar E, Bradwejn J. Two faces of cholecystokinin: anxiety and schizophrenia. Fundam Clin Pharmacol. 1996;10(2):116-26. Review. Haring L, Koido K, Vasar V, Leping V, Zilmer K, Zilmer M, Vasar E. Antipsychotic treatment reduces psychotic symptoms and markers of low-grade inflammation in first episode psychosis patients, but increases their body mass index. Schizophr Res. 2015; 169 (1-3): 22-29. Haring L, Mõttus R, Kajalaid K, Koch K, Uppin K, Maron E, Vasar E. The course of cognitive functioning after first-episode of psychosis: A six month follow-up study. Schizophr Res. 2017 Apr;182:31-41. doi: 10.1016/j.schres.2016.10.017. Haring L, Müürsepp A, Mõttus R, Ilves P, Koch K, Uppin K, Tarnovskaja J, Maron E, Zharkovsky A, Vasar E, Vasar V. Cortical thickness and surface area correlates with cognitive dysfunction among first-episode psychosis patients. Psychol Med. 2016 Jul;46(10):2145-55. doi: 10.1017/S0033291716000684. Koido K, Innos J, Haring L, Zilmer M, Ottas A, Vasar E. Taurine and Epidermal Growth Factor Belong to the Signature of First-Episode Psychosis. Front Neurosci. 2016 Jul 15;10:331. doi: 10.3389/fnins.2016.00331. Koido K, Janno S, Traks T, Parksepp M, Ljubajev Ü, Veiksaar P, Must A, Shlik J, Vasar V, Vasar E. Associations between polymorphisms of LSAMP gene and schizophrenia. Psychiatry Res. 2014 Mar 30;215(3):797-8. doi: 10.1016/j.psychres.2014.01.016. Kriisa K, Haring L, Vasar E, Koido K, Janno S, Vasar V, Zilmer K, Zilmer M. Antipsychotic Treatment Reduces Indices of Oxidative Stress in First-Episode Psychosis Patients. Oxid Med Cell Longev. 2016;2016:9616593. Neo WH, Yap K, Lee SH, Looi LS, Khandelia P, Neo SX, Makeyev EV, Su IH. MicroRNA miR-124 controls the choice between neuronal and astrocyte differentiation by fine-tuning Ezh2 expression. J Biol Chem. 2014 Jul 25;289(30):20788-801. Yap K, Xiao Y, Friedman BA, Je HS, Makeyev EV. Polarizing the Neuron through Sustained Co-expression of Alternatively Spliced Isoforms. Cell Rep. 2016 May 10;15(6):1316-28. doi: 10.1016/j.celrep.2016.04.012. Do HT, Bruelle C, Pham DD, Jauhiainen M, Eriksson O, Korhonen LT, Lindholm D. Nerve growth factor (NGF) and pro-NGF increase low-density lipoprotein (LDL) receptors in neuronal cells partly by different mechanisms: role of LDL in neurite outgrowth. J Neurochem. 2016 Jan;136(2):306-15. doi: 10.1111/jnc.13397. Do HT, Bruelle C, Tselykh T, Jalonen P, Korhonen L, Lindholm D. Reciprocal regulation of very low density lipoprotein receptors (VLDLRs) in neurons by brain-derived neurotrophic factor (BDNF) and Reelin: involvement of the E3 ligase Mylip/Idol. J Biol Chem. 2013 Oct 11;288(41):29613-20. Lindholm D, Bornhauser BC, Korhonen L. Mylip makes an Idol turn into regulation of LDL receptor. Cell Mol Life Sci. 2009 Nov;66(21):3399-402. doi:10.1007/s00018-009-0127-y. Mainini V, Lalowski M, Gotsopoulos A, Bitsika V, Baumann M, Magni F. MALDI-imaging mass spectrometry on tissues. Methods Mol Biol. 2015;1243:139-64. doi: 10.1007/978-1-4939-1872-0_8. Pham DD, Do HT, Bruelle C, Kukkonen JP, Eriksson O, Mogollón I, Korhonen LT, Arumäe U, Lindholm D. p75 Neurotrophin Receptor Signaling Activates Sterol Regulatory Element-binding Protein-2 in Hepatocyte Cells via p38 Mitogen-activated Protein Kinase and Caspase-3. J Biol Chem. 2016 May 13;291(20):10747-58. doi: 10.1074/jbc.M116.722272. Scifo E, Szwajda A, Dębski J, Uusi-Rauva K, Kesti T, Dadlez M, Gingras AC, Tyynelä J, Baumann MH, Jalanko A, Lalowski M. Drafting the CLN3 protein interactome in SH-SY5Y human neuroblastoma cells: a label-free quantitative proteomics approach. J Proteome Res. 2013 May 3;12(5):2101-15. doi: 10.1021/pr301125k. Tikka S, Monogioudi E, Gotsopoulos A, Soliymani R, Pezzini F, Scifo E, Uusi-Rauva K, Tyynelä J, Baumann M, Jalanko A, Simonati A, Lalowski M. Proteomic Profiling in the Brain of CLN1 Disease Model Reveals Affected Functional Modules. Neuromolecular Med. 2016 Mar;18(1):109-33. doi: 10.1007/s12017-015-8382-6. Zaręba-Kozioł M, Szwajda A, Dadlez M, Wysłouch-Cieszyńska A, Lalowski M. Global analysis of S-nitrosylation sites in the wild type (APP) transgenic mouse brain-clues for synaptic pathology. Mol Cell Proteomics. 2014 Sep;13(9):2288-305. doi: 10.1074/mcp.M113.036079. International Multiple Sclerosis Genetics Consortium (IMSGC).,..Tienari P, et al. Analysis of immune-related loci identifies 48 new susceptibility variants for multiple sclerosis. Nat Genet. 2013 Nov;45(11):1353-60. doi: 10.1038/ng.2770. Lindholm, D., Hyrskyluoto, A., Bruelle, C., Putkonen, N., Korhonen., L. Proteasome Role in Neurodegeneration.Reference Module in Biomedical Sciences. 2015. Roisko R, Wahlberg KE, Hakko H, Tienari P. Association of adoptive child’s thought disorders and schizophrenia spectrum disorders with their genetic liability for schizophrenia spectrum disorders, season of birth and parental Communication Deviance. Psychiatry Res. 2015 Apr 30;226(2-3):434-40. doi: 10.1016/j.psychres.2014.12.036. Roisko R, Wahlberg KE, Miettunen J, Tienari P. Association of parental communication deviance with offspring’s psychiatric and thought disorders. A systematic review and meta-analysis. Eur Psychiatry. 2014 Jan;29(1):20-31. doi: 10.1016/j.eurpsy.2013.05.002. Siuko M, Valori M, Kivelä T, Setälä K, Morin A, Kwan T, Pastinen T, Tienari P. Exome and regulatory element sequencing of neuromyelitis optica patients. J Neuroimmunol. 2015 Dec 15;289:139-42. doi: 10.1016/j.jneuroim.2015.11.002. Ahokas A, Koskiniemi ML, Vaheri A, Rimón R. Altered white cell count, protein concentration and oligoclonal IgG bands in the cerebrospinal fluid of many patients with acute psychiatric disorders. Neuropsychobiology. 1985;14(1):1-4. Ahokas A, Rimón R, Koskiniemi M, Vaheri A, Julkunen I, Sarna S. Viral antibodies and interferon in acute psychiatric disorders. J Clin Psychiatry. 1987 May;48(5):194-6. Virtanen JO, Zabriskie JB, Sirén V, Friedman JE, Lyons MJ, Edgar M, Vaheri A, Koskiniemi M. Co-localization of human herpes virus 6 and tissue plasminogen activator in multiple sclerosis brain tissue. Med Sci Monit. 2005 Mar;11(3):BR84-7.